Clang, clang, clang! How to use the trolleys in New Orleans is simple! Getting around New Orleans is a breeze! We recommend parking your car at your hotel and taking the trolley or public bus everywhere. 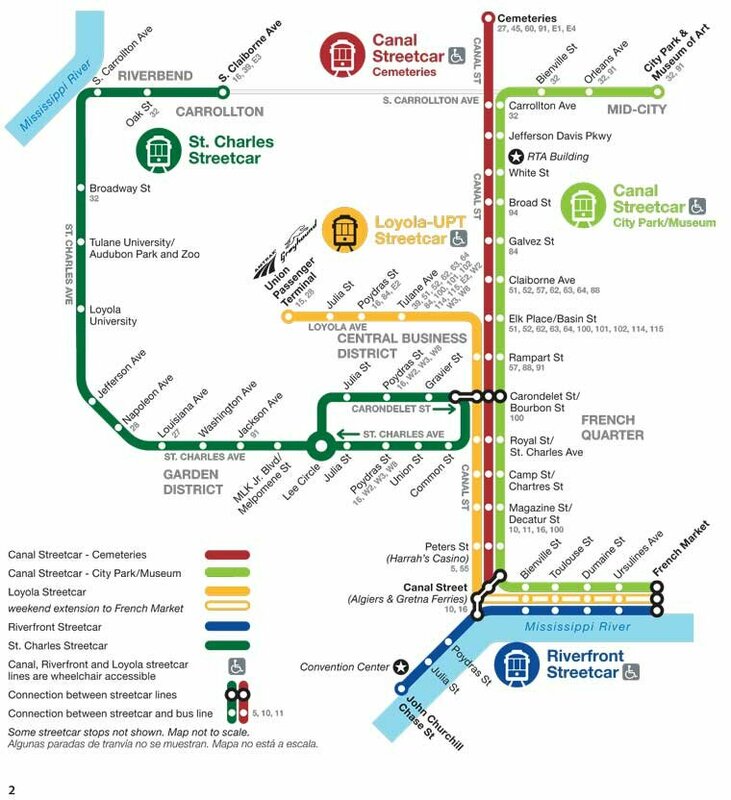 There are six trolley lines: St. Charles, Canal Street and the Riverfront are the main lines-each of which begins downtown but goes to different parts of the city. Fares are $1.25 but for $3.00 you can purchase an all-day pass for any trolley or public bus. What a great deal!! Purchase the pass as you board your first trolley. Seniors can buy tickets for individual trolley rides for 40 cents each. Note that exact change is required when buying tickets. Just for fun, we rode the trolleys to the end of each line and back and saw New Orleans in comfort! Just pull the cord if you want to stop when you see something of interest. You can re-board any time. There is no Streetcar Named Desire. The real Streetcar Named Desire ran through the French Quarter, passing along Bourbon Street in one direction and Royal Street in the other, making its way to and from Desire Street in the neighborhood now called the Bywater. In 1948, the year after the play’s publication, the Desire line was replaced with a bus. Only vestiges of the old system remain. Reference: www.norta.com for schedules and maps.